If you are someone who loves milk-based espresso beverages, but you find that buying them regularly from the café is really taking a bite out of your monthly budget, then the modestly priced (usually under $150) Keurig Rivo Cappuccino and Latte System is a possible solution for you. Available in a very sharp-looking black and silver, this is basically an unobtrusive cube that will sit quietly on your kitchen counter produce great lattes and cappuccinos, with a minimum of bother. For those of you who have not seen the Keurig Rivo in action, here’s a quick video from Keurig showing how simple the Rivo can be to use, with its pod system which uses five clearly labeled buttons that make everything very quick and easy. 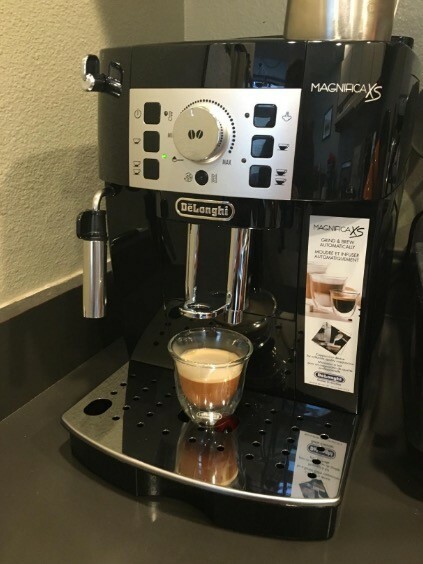 If you like the idea of home-brewed espressos, cappuccinos, macchiatos and lattes, but find espresso machines to be complicated, expensive, or requiring too much maintenance, then this machine could be what exactly you are looking for. Definitely not the most expensive machines out there, it would be wise to have a realistic expectation level of what can be achieved for your bucks with the Rivo. If its a low price you’re after, for under a hundred dollars, you can buy a used Keurig Rivo on Amazon here if you are willing to go that route. Coming with a box of twelve freebie coffee pods to sweeten the deal and start you off, you can choose from Classico, Instenso, Delicato and Decaf depending on your taste. Do check that the box of Lavazza pods is included from your chosen seller though, as not every seller will provide you with the bonus pods. Which leads on to the first point – only Rivo portion packs can be used with this single cup machine and not “conventional” K cup pods, we must point out. This means just take note of which kind of pods you’re getting, in order that you get the proper mini-brews that are compatible with the Rivo. Each of these packs are airtight mini-brewers which lock in the freshness and the flavor. With drinks ready super fast – in under one minute, as well as removable parts that are dishwasher safe and minimal maintenance (you will still have to do some cleaning and the dreaded de-scaling of your Keurig though, right?) This still works out all round as a lot less fuss than grinding, tamping, brewing and then washing up after a more manual espresso maker. Its certainly a far cry from something like, say, the De’Longhi 32 BAR Pump Espresso & Cappuccino Maker that we reviewed not long ago. Lovely machine, yes, but with more power comes more responsibility and of course a higher price tag. One of the main selling points of this machine is, of course, the frother. The Keurig Rivo is great at frothing, and not merely making espresso, although it cannot be used to brew and steam at the same time, like pricier units. If this is going to be a deal breaker for you then you might like to look elsewhere, but again this feature is a costly one. Capable of brewing two shot sizes, the short (1.4 oz) and the lungo (2.8 oz) some people have complained that this is not big enough. The fact is, people, that these are espresso shot sizes and not regular coffees. If you want an Americano you will have to add hot water to a couple of espresso shots. Basically, this is a machine for latte and cappuccino lovers, not drinkers of straight coffee. As we mentioned earlier, this thing is fast, with your beverage ready in one minute, and a minimum of messing around. 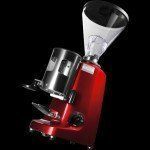 This can come in handy particularly on a morning when you’re hurrying around and perhaps don’t have the time to start grinding beans, tamping coffee and checking the pressure of highly strung espresso machines. Should you need to return it for any reason, mostly good things have been said about the Keurig customer experience, with many buyers reporting they have received replacement goods promptly from them. If you don’t want to or can’t use regular milk, this is designed to froth both soy and almond milk as well. Although, there may be some brands that work better than others and the whole issue of milk frothing seems to be quite a fraught one – more on that later. On the whole, if you only want to spend around $120, it seems you could do a lot worse for your money, as this machine is capable of producing some pretty decent lattes and cappuccinos. Unfortunately there are a few issues with this machine that we ought to mention. The first one being that there isn’t a huge amount of choice with this model, in fact only four types of pods are available with it : Classico, Instenso, Delicato and Decaf. If this isn’t going to be enough, then it may be worth considering something else. It certainly does not have the range of a K Cup and other Keurig pods are not compatible with this machine. Also, at the present time, there are no re-fillables/ re-usables available for this machine. To be fair though, this is a specialist machine for milky coffee lovers. If you want a thousand and one beverages, then maybe you need to look elsewhere. Secondly and it is with a heavy heart we must state this, in all likelihood, this machine will not be getting passed on to your grandchildren. In other words, it is probably unlikely to last 5 years. Ultimately, it is fairly inexpensive for delivering what is, really quite decent, cappuccinos and lattes. But it ain’t gonna live forever! Apparently, although the foam is thick and creamy, it isn’t the right type of micro foam to master the ancient craft of latte art. Also, there have been mixed reviews about the types of milk that work and do not work well with the foamer. It might be worth reading up about this and of course, a combination of good old trial and error. Rest assured we are convinced that the foam will come out good in the end, but you may wish to experiment, using fresh and well chilled milk first. Lastly, the ever present moan about the coffee not being warm enough rears its slightly lukewarm head. We are pretty sure that this complaint has been made about every coffee machine, ever, in the whole history of the planet, though. 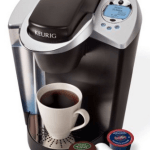 So, in a nutshell, should you purchase the Keurig Rivo Cappuccino and Latte System? Ultimately, if you are realistic about what you are getting for the money that is being spent, this is not an at all bad cappuccino and latte maker. It will not live to old age and the range of pods is limited. But it is good and quick and the quality of the Lavazza coffees is high. 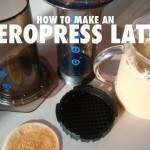 It will save a fortune on store bought lattes and do it with little fuss or tidy up time.